I sort of have a thing for old suitcases. I fawn over the old, leather trimmed, hard-sided cases that need a belt around them to keep from spewing their contents during transit. 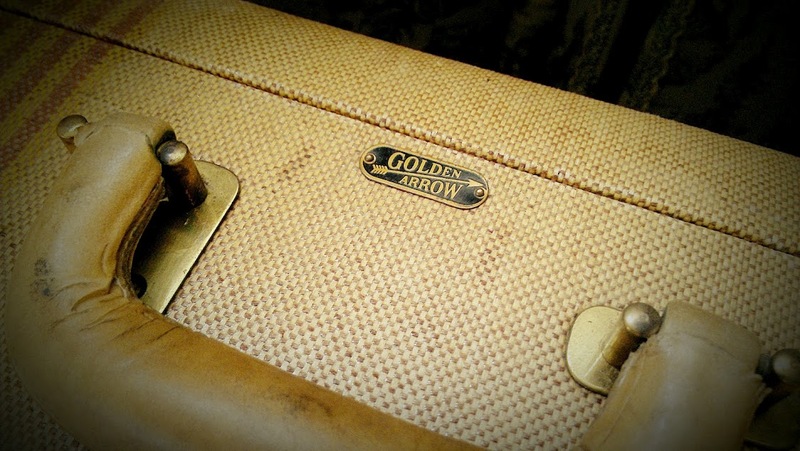 I breathe deeply when I happen upon an old steamer trunk with aged brass fittings and wood structure. I would take them all in like orphaned puppies if I could. 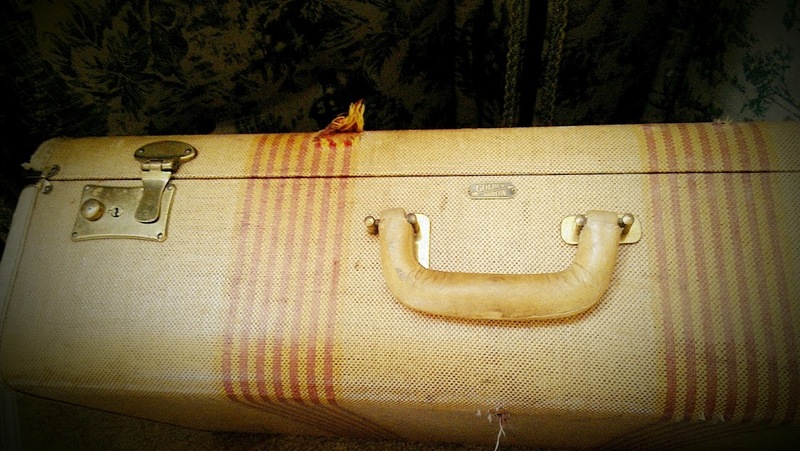 One time I even purchased a new, upgraded, lightweight, wheeled suitcase in my Dad’s favorite color, crimson, knowing full well that he would show up to visit me with that gorgeous old suitcase in hand. My “gift” to him was to replace that “old, worn out, heavy thing” with a new model! And, wasn’t I just the best daughter ever to allow him to leave behind that old, heavy, scraped up, belted, hard-sided suitcase?! My secret, evil plan to get my hands on that antique went without a hitch! He still doesn’t know of my ulterior motives. Sorry, Dad!!! Suitcases take on a different meaning when you start talking about baggage. I think of hurts, habits, hang-ups – the stuff that keep me from living in freedom and victory. I believe that my heavenly Father cares ever so much about our baggage, and I think He wants to help us unload that baggage so we can live life to the full. Here’s where my story about the suitcases comes in. Mom had come to Arizona to visit me for a couple of weeks one fall not too long ago. During her visit, she purchased some knives from a sales representative that I knew. I had recently expanded my own knife collection and, consequently, had an extra small block that I knew would be perfect for her new knives. I encouraged her to take home the knife block. She was excited and accepted my offer. Towards the end of her visit, Mom spent the day while I was at work packing up her suitcases for her trip home. The journey home would start at Phoenix’s Sky Harbor Airport, then layover in Seattle, and there she would switch planes for the final leg home to Idaho. For Mom, the day would be tiring, and to make matters worse, the flight wasn’t due to arrive in her hometown until very late – around midnight. She had planned ahead and left her own car at the airport so that she wouldn’t have to ask any of her friends to come at that late hour to drive her home. She dislikes putting anyone out for her own needs. During her last few days with us, she started to wonder aloud about how she was going to get her suitcase from the baggage claim, her carry-on, and her purse to her car. And worse yet, how was she going to get her heavy suitcase up into the trunk of her car? She had enough anxiety that she decided that the knife block had to be left behind. I was disappointed and troubled… I think that I was as excited for her to have the knife block as I was that she would actually have a knife that would cut something after she received her new set in the mail. (Do NOT get me started on the utensils that have passed for knives at Mom’s for the past 30 years!!) It also annoyed me that a knife block was now a stumbling block, causing her so much stress! I was getting ready for the day – my last day with Mom before I dropped her at the airport for her afternoon flight home. I often talk to the Lord while I’m putting myself together, and on this particular day, I found myself talking to Him about Mom’s stress with the suitcases and the knife block. A strong sense came over me that not only does the Lord care about these small things in our lives, but an even stronger belief… no, it was His still small voice, telling me that He WILL take care of the small things, and that He had a plan, and that Mom should take the knife block home with her as planned. Sheer excitement filled me! I knew what to do. I hurried to finish my routine and headed downstairs to talk to Mom. I told Mom that I had been talking with the Lord. I relayed that I knew that He cares about even the smallest details in our lives and that He wants us to rely upon HIM, not on our own understanding. Then, I announced to Mom that she was taking home that knife block in her suitcase. I told her God was going to take care of the rest. I told her that I was assured of this and that He wanted her to just relax and LET Him do this for her. Her expression was priceless! First, curiosity – then amusement, and lastly, a shared excitement! I shoved the knife block into her suitcase, and packed it into my car with the rest of her things. We set off for lunch at Mimi’s Cafe, and one last stop at our favorite discount store. We giggled like school girls while we talked about what the outcome of the suitcase was going to be that night. I told her that I would be waiting to hear how it all went! We said our good byes. The next morning, Mom called me, ready to report! While she was waiting to board the next flight from Seattle to home, she ran into some new friends who had been traveling abroad the past eight weeks. They started talking about their luggage, and had said that they only had one backpack each; they never checked a piece of luggage. Mom thought to herself that this was a great way to bring up her own suitcase – maybe these were the people He had in mind to help her, but maybe God needed a little help to get the ball rolling. She started to tell her friends that she just had one piece of luggage and was quite worried about how to get it into the trunk of her car when she arrived. Mom thought that it might be just the nudge someone needed to ask if they could assist her with her luggage, and that would be the end of it. God had other plans because the friendly couple didn’t seem to catch on to her hint at all, but instead they rather quickly excused themselves… something about needing to grab a bite to eat before the flight. Mom said that she guessed God was trying to tell her that He didn’t really need her help and that she could just sit back to watch what He did. The flight landed and the passengers disembarked, one by one heading into the terminal to claim their baggage. When Mom walked through the door, she noticed a familiar face; it was her good friend, Sue from Bible study. They were equally surprised to see one another and quickly learned that her friend was there to pick up her neighbors from their travels. While they were chatting, waiting on the luggage, Mom’s friend asked her if she had a bag she was waiting on and, could she be of assistance getting it for her. Mom said yes and quickly accepted her kind offer, smiling to herself. After her friend got her bag from the baggage claim belt, she asked if she couldn’t just take it to her car for her since her friends could easily manage their own bags and that it would be no trouble at all. Mom said that her assistance would be wonderful, explaining about her concern for the weight of the bag and lifting it up into the trunk of her car. God had indeed come through for her. Of course, I was simply euphoric! Thank you, Lord! You are so loving and kind. Not only are You ABLE, but You are SO WILLING to lighten our load, to accept our cares, to carry our burdens. I love that You showed Yourself through this experience, that you acted without haste when we asked! Help me to ask you, help me to wait expectantly for You to deliver. Later in the week, Mom and her suitcase-rescuer were having lunch. Mom shared with her the whole story about the suitcases! Her friend was equally as excited as we were! She loved knowing that a month prior, when she had offered to pick her neighbors up at the airport upon their late-night arrival, God knew He had someone else entirely in mind that she was to be there for. And, Mom and I were blessed to get to hear that even before either one of us had any thoughts about suitcases or knife blocks or midnight pick ups at the airport, that our heavenly Father had already laid in motion the plans to take care of it all. I just LOVE this!! No surprises and no timeline with our dear Father. Love your love for suitcases!! I just sold my small Hartmann over Ebay and felt a bit sentimental about its going to a new owner. She said that she would take really good care of it!! Awww… The two I photographed are special to me. The trunk was a gift from my mother in law years ago. She upholstered the interior with green toile fabric. It’s gorgeous. The smaller suitcase was my dad’s from my story. Thanks for the comment! Did you tweet me? a great story and reminder that God is at work behind the scenes on our behalf. We can trust Him because He loves us! Kerry, life has a different meaning when we have God in our lives.. thanks for sharing.. it is an awesome reminder for me to Lean on Him… Always..